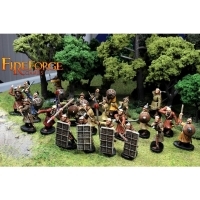 The box contains: - 24x 28mm multi-part plastic Steppe Warriors on foot - 4x.. The box contains: - 12x 28mm multi-part plastic Cavalry miniatures - 3x 50x5.. The box contains: - 4x 28mm resin Cavalry Command - 2x 50x50mm base - 2x 25.. 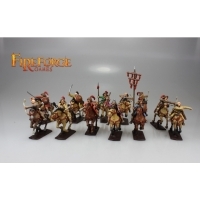 The box conatains: - 4x 28mm resin Heavy Cavalry Archers - 2x 50x50mm base .. The box contains: - 4x 28mm resin cavalry miniatures with mixed weapons - 2x.. The box contains: - 4x 28mm resin Heavy cavalry Lancers - 2x 50x50mm base -..
subodai, one of the greatest general in the Mongol history. The men who conque..